Helps prevent salt stains, and minimizes rub-off and scuffing of suede products. Protect felt and beaver hats, as well as all leather and suede apparel! 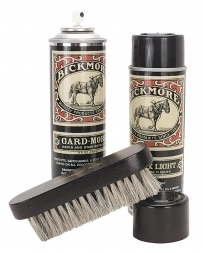 Includes Ultra-X Hat Cleaner (6 oz spray). 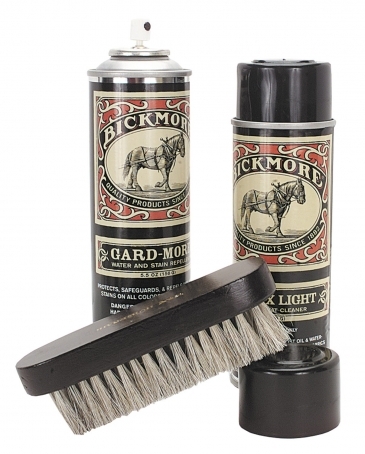 Gard-More water and stain repellent (5.5 oz spray), 100% horse hair brush and instructions.